One of the key things that drivers learn early on is about stopping and parking. It is all too easy to get confused by the rules that apply, particularly when you are just starting out – after all, there is so much to remember! Add to that the various restrictions that individual councils may introduce in their areas, and it can be very easy to get caught out. This month we take a quick refresher on what the main rules are with regard to stopping and parking to help you keep them at the forefront of your mind as you go about running your daily errands. School entrances. There will be zig zag lines typically on the road demarcating where you cannot stop, but they may not be obvious if you are in traffic. Tram or railway crossings. Anywhere near the approach to a crossing should be avoided. Again, lines painted on the road should show you where that ‘no stopping’ zone starts and ends, so keep an eye out. Emergency services. Never block access of egress for emergency service vehicles. This could be ambulance bays, police stations, or fire stations. There will usually be a ‘keep clear’ sign painted on the road so keep looking ahead to avoid getting caught out. Bus and tram stops and taxi ranks. You will get a fine if you stop anywhere on or near there, including designated coach stops and parking bays. Drop kerbs. Another one that could be easy to miss if focusing ahead only, so make sure you are looking around frequently to identify any drop kerbs. These are important for wheelchair and mobility scooter users so you could be causing serious problems for them if you stop or park here. Traffic islands. Stopping or parking here could cause an obstruction to other traffic entering or exiting the roundabout, so must be avoided. Similarly, if there is another parked vehicle nearby that would cause you to block the island then you must avoid that too. Tram lanes. Not only are you not allowed to stop here, but you must also not stop in the vicinity if your actions are going to cause others to enter that lane in order to overtake you. Hills and hump bridges. Stopping and parking at or near the brow of a hill or hump bridge could cause an accident. Avoid it. Always. Junctions. Unless there is an authorised parking spot, parking within 10 m (or 32 feet) of a junction will land you with a fine. Bends. Stopping or parking on a bend is a traffic hazard and will get you fined. Cyclists. Parking in front of cyclists’ facilities, such as parking spots, is prohibited as it interferes with their ability to use them safely. Property entrances. 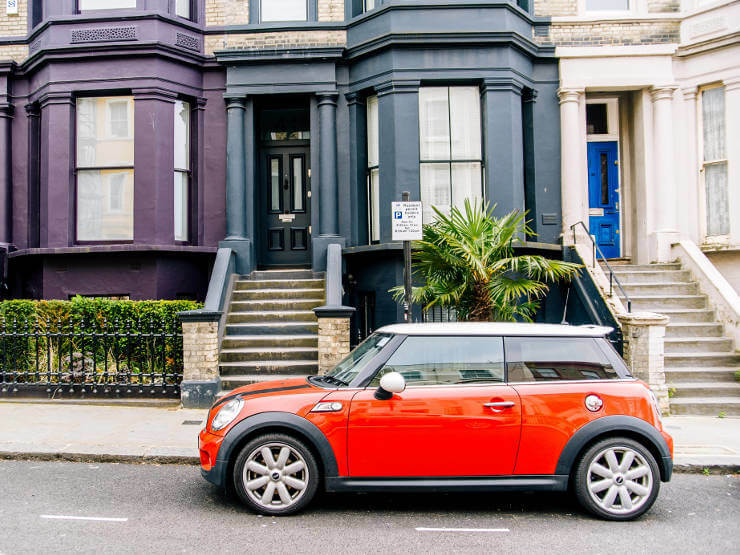 Unless the property is yours or it is an authorised parking bay, parking in front of the entrance of someone’s property is prohibited. Stay safe on the road and avoid unnecessary fines by familiarising yourself with the Highway Code rules. For a refresher or for new learners, talk to us at Lanes School of Driving. We have been keeping motorists safe on the road for over 100 years. For an appointment or an initial discussion simply call us on 020 8166 5678.